Most people know enough to realize that the produce on their dinner tables comes from plants and that those plants grew from seeds. But the average consumer rarely has the ability to identify those seeds or the plants they grow into. This means that teaching about seeds can make a big difference in building consumer awareness and in building the farm-to-fork connection. And that’s why we engineered two separate hands-on seed displays for our customers AgroLiquid and Genesee County Farm Bureau. 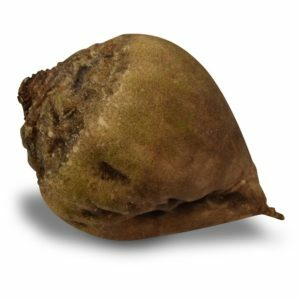 The features of certain seeds are often a complete mystery to consumers because people outside of the farming community don’t have much of an opportunity to see most types of seeds close-up. That’s where agricultural education comes in. By learning seed types, consumers can build stronger connections with their food. This is exactly what we need. After all, in order to make wise and informed choices about the food you eat, you have to know where that food came from. In two separate exhibit projects from past years, we created stations dedicated specifically to teaching about seeds. These hands-on seed displays also tell a bit about the plants that produce common food items. 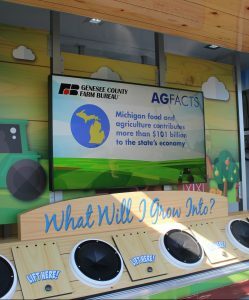 As a part of Genesee County Farm Bureau’s mobile trailer exhibit, we put together a seed identification station. It consists mainly of a row of buckets. 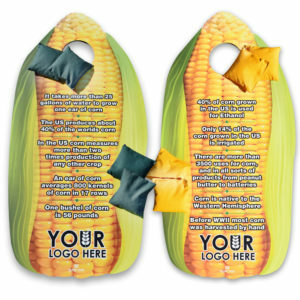 These buckets can be filled with any variety of seed that the farm bureau wants to feature. Next to each bucket is a panel that visitors can lift to reveal information about the seed. The exhibit curators can take out the signs under the panel to replace them with alternative signs. 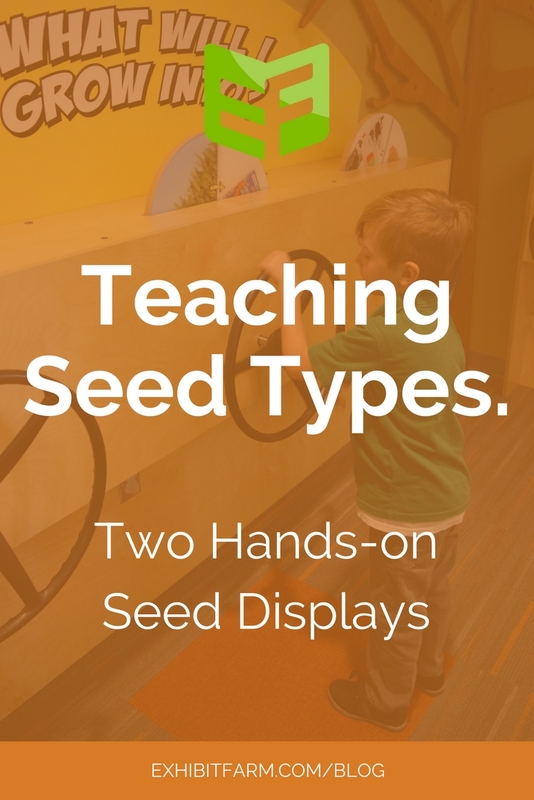 This allows the staff to rotate through a variety of seed types while using the same display. 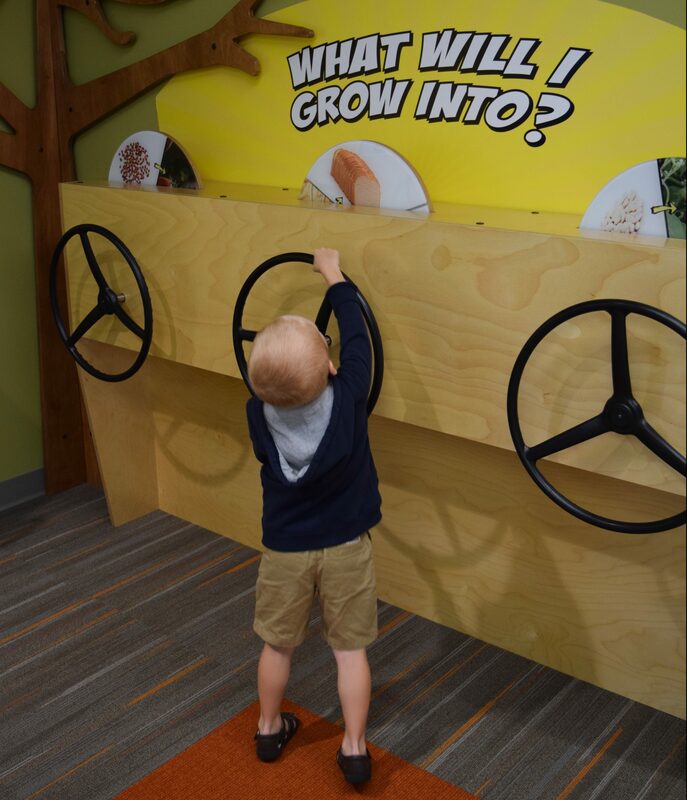 This hands-on element of the trailer allows visitors to read about common seeds. It also gives them a chance to touch the seeds and examine them first-hand. This simple booth features fresh graphics and bright colors, making it something visitors will want to explore. 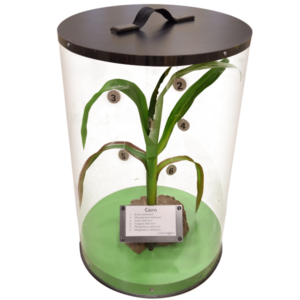 For the second of these hands-on seed displays, we engineered a way for AgroLiquid to teach a similar lesson about seeds and plants. This time, however, we did it without using real seeds. The substitute for real seeds was a collage of pictures. Arranged along a circular piece of material, the pictures showed a plant at the various stages of its development. It shows the plant as a seed, as a fully-grown plant, and as the plant’s product that people consume. These circular units, half hidden behind a wooden dashboard, are attached to tractor steering wheels. Visitors standing in front of the wheels can turn the steering wheels to make the different pictures on each unit appear from behind the dashboard. In this way, they slowly scroll through the images, observing the plant at its different stages and learning to identify the final product that comes from that plant. Although the display element was originally targeted toward children, this unique design also interests adults. 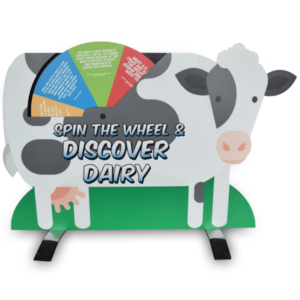 It has the unique advantage of being both a visual and a hands-on way of presenting visitors with new information about the produce they consume regularly.